We headed up to the roof at sunrise to have a quick low level flight above the us with a glorious view over Barcelona as the sun rose. 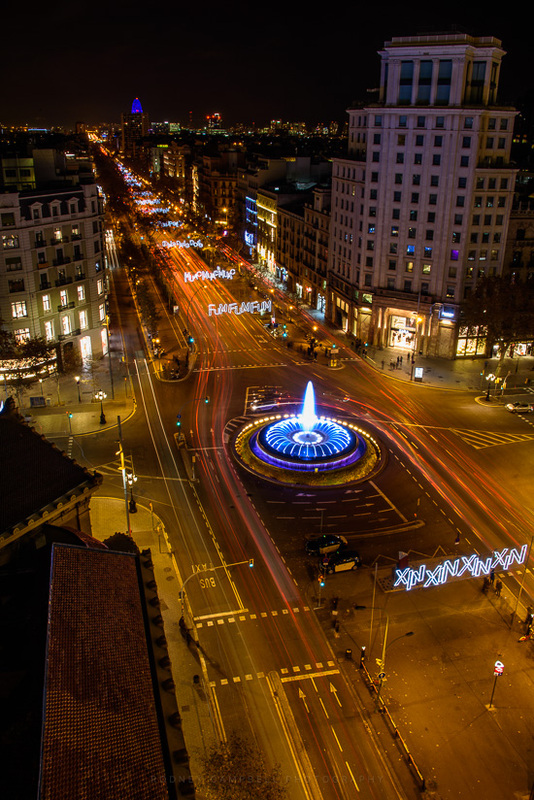 A nighttime view from out hotel in downtown Barcelona. 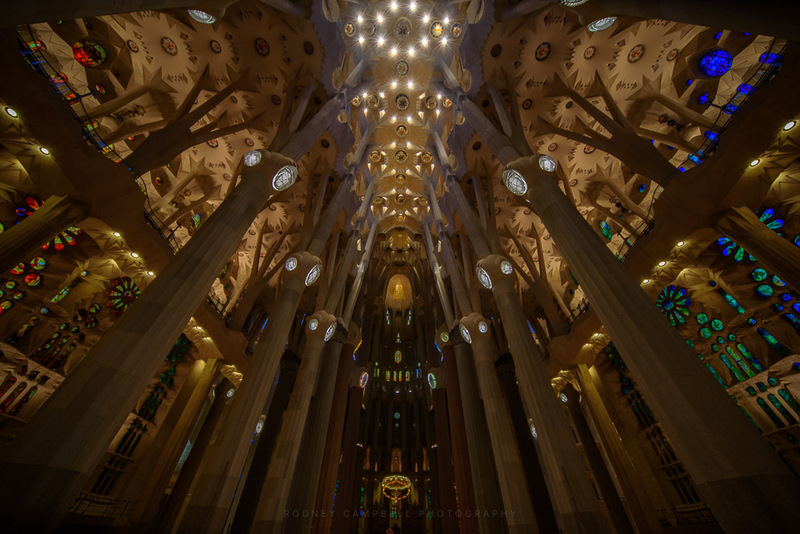 The interior of the Sagrada Família was as expected pretty damn incredible. 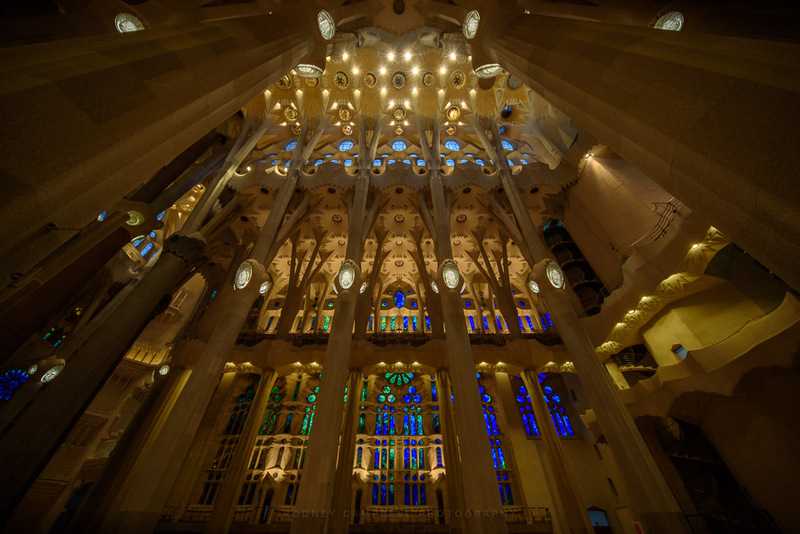 The church plan is that of a Latin cross with five aisles. 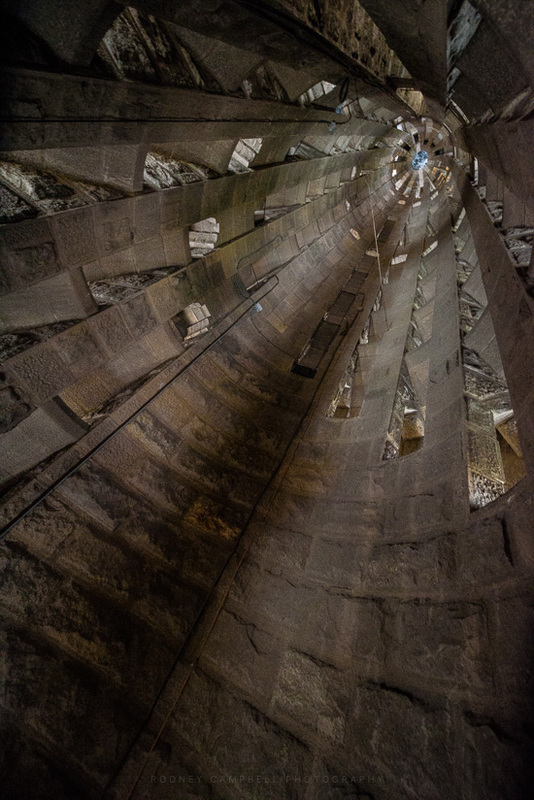 The central nave vaults reach forty-five metres while the side nave vaults reach thirty metres. 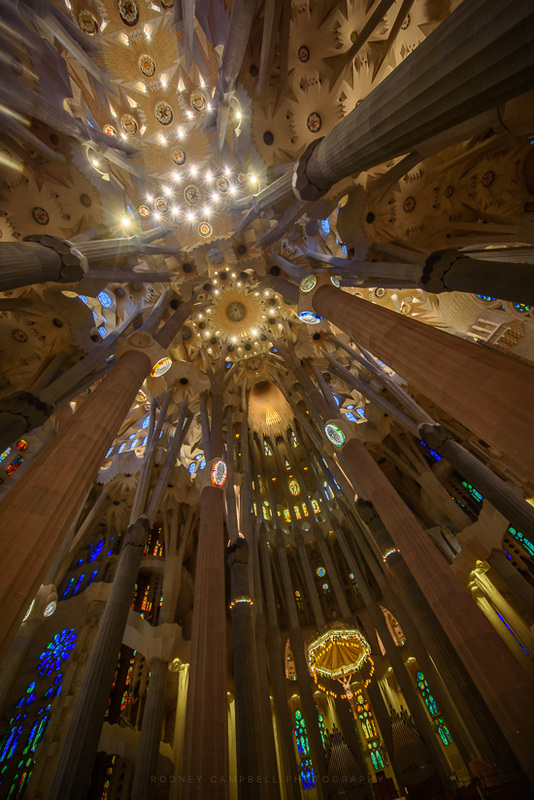 Gaudí’s original design calls for a total of eighteen spires, representing in ascending order of height the Twelve Apostles, the Virgin Mary, the four Evangelists and, tallest of all, Jesus Christ. Eight spires have been built so far, corresponding to four apostles at the Nativity façade and four apostles at the Passion façade. 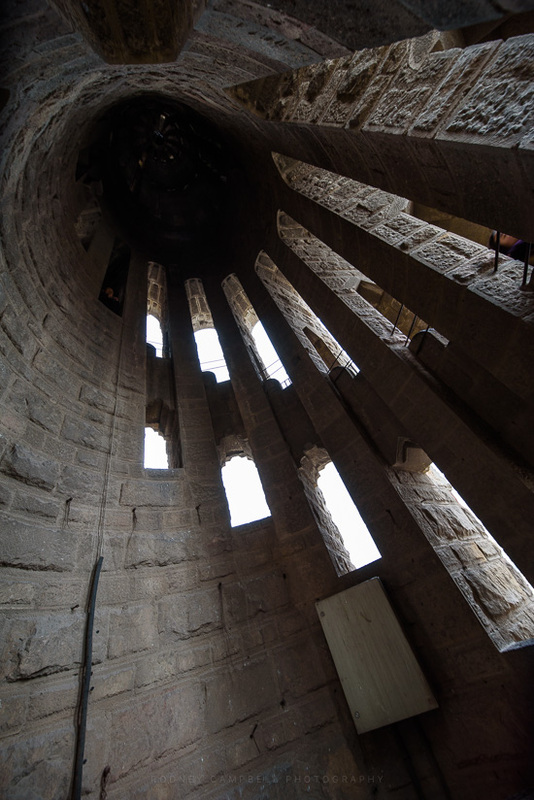 I’d pre purchased tickets for us to go up the Nativity towers. 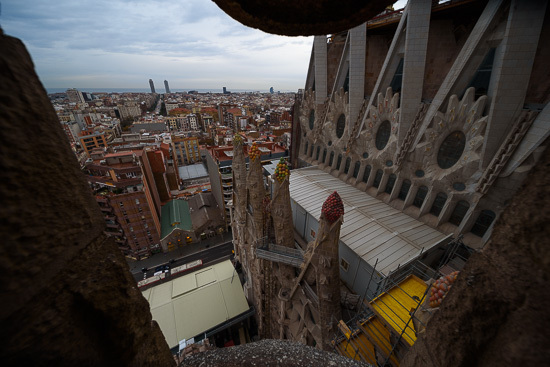 The top of the towers can only be accessed by lift, one on each facade. 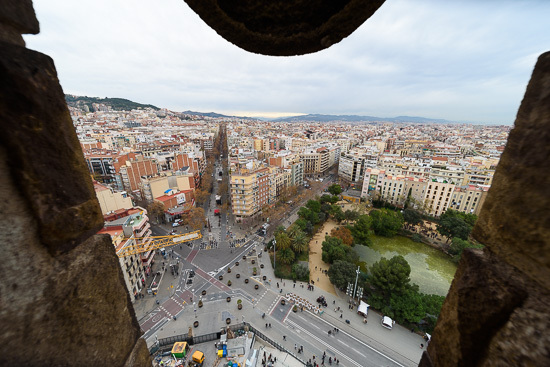 The Nativity facade has fantastic views over the east of Barcelona. 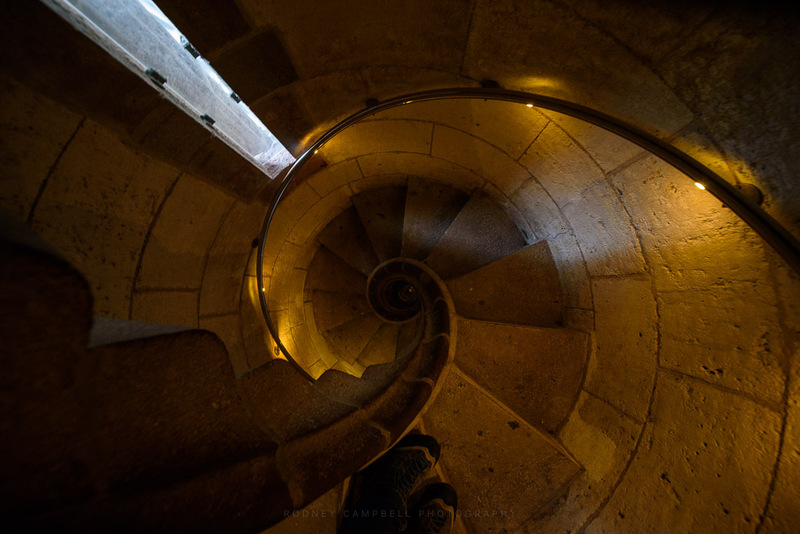 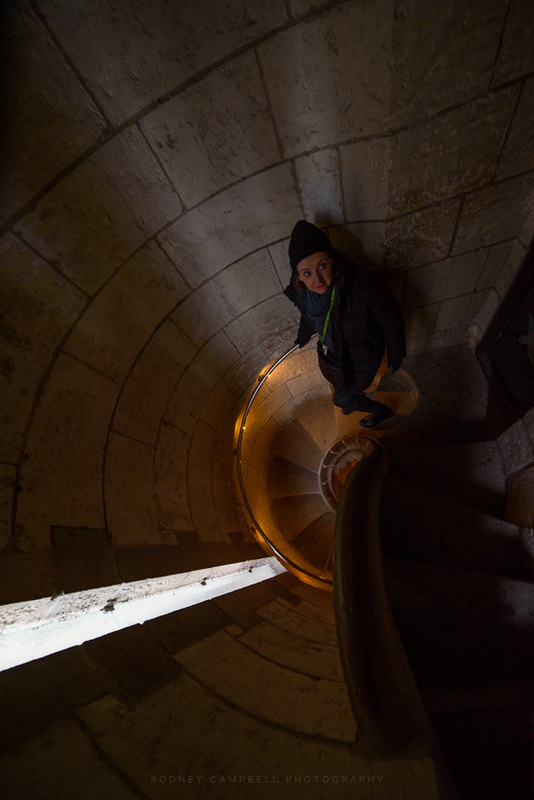 Whilst you take a lift up to the top you must climb down the narrow spiraling staircase around the tower and then eventually to this tighter spiral near the bottom. 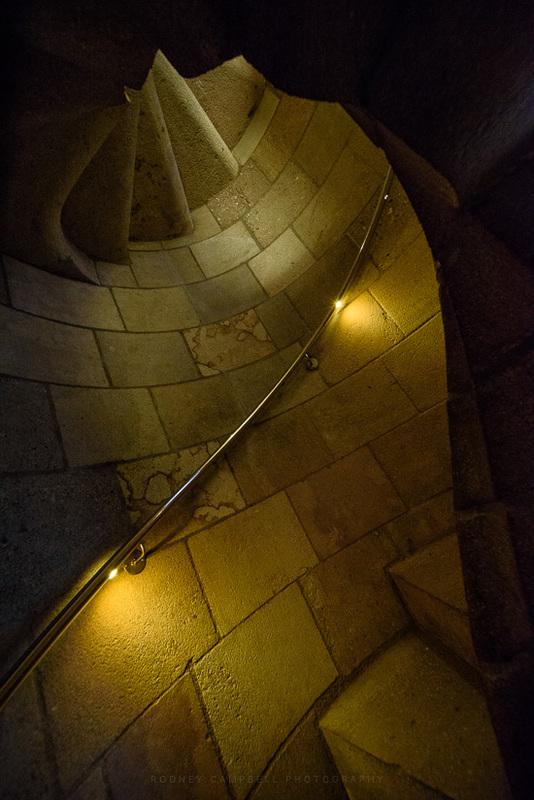 Be prepared for a lot of steps (around 400). 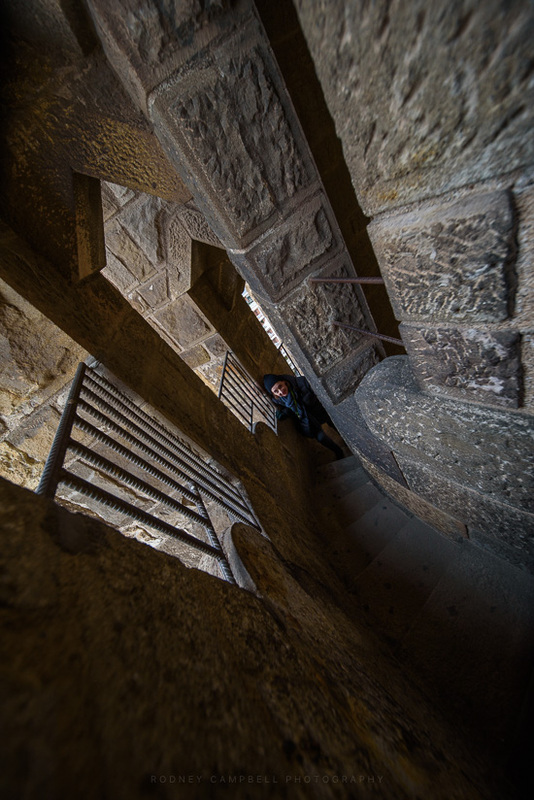 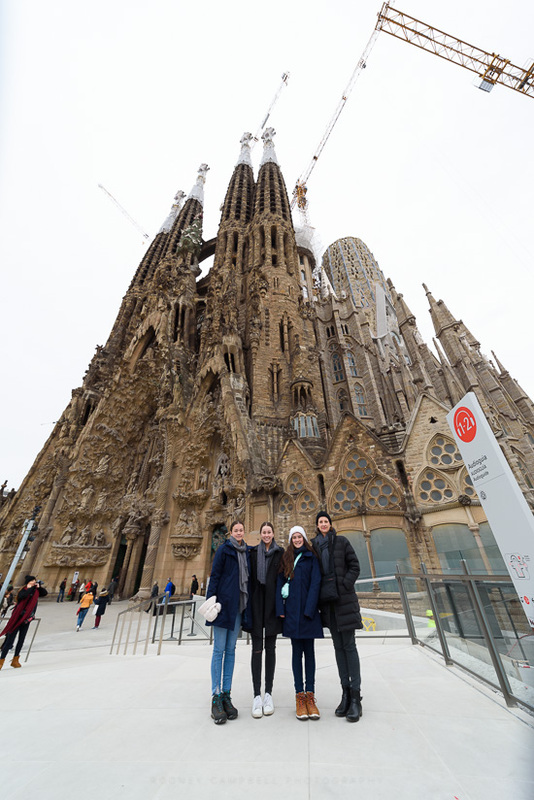 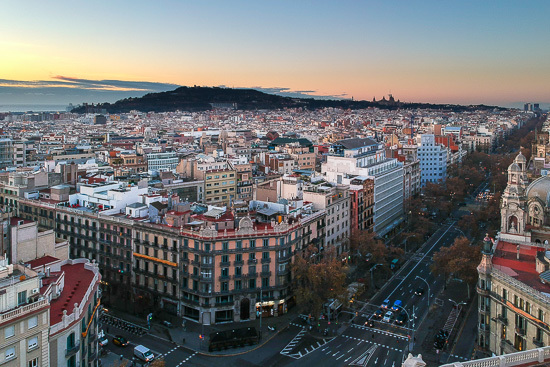 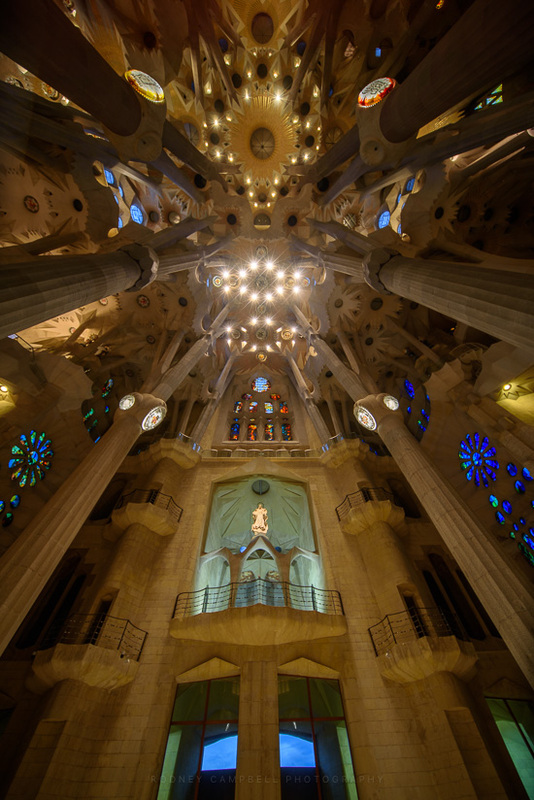 We’d spend the afternoon visiting Antonio Gaudi’s masterpiece La Sagrada Familia. 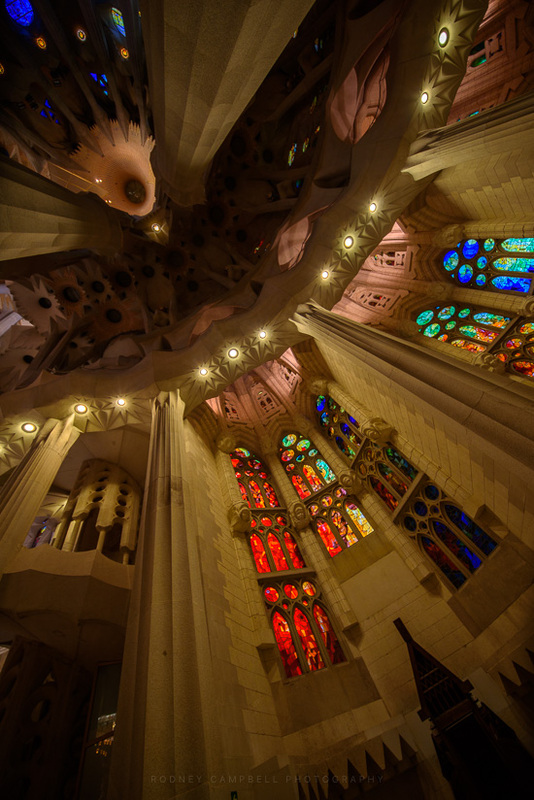 I’d pre-booked tickets for both entry and also to go up the Nativity Towers. 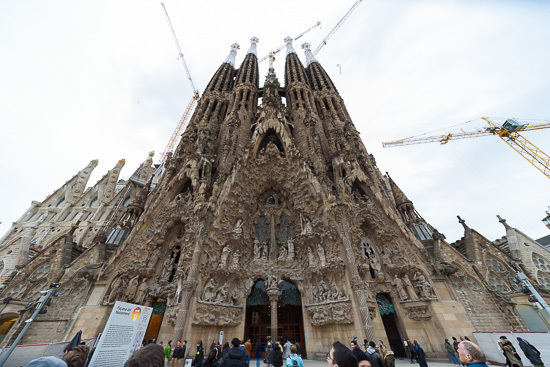 This is the largest unfinished Roman Catholic church in world, and in November 2010 Pope Benedict XVI consecrated and proclaimed it a minor basilica. In 1882, construction of Sagrada Família started under architect Francisco Paula de Villar. 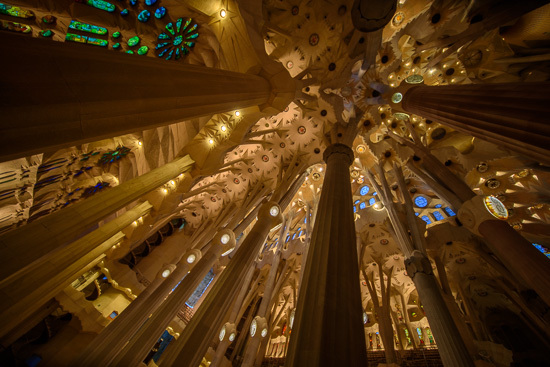 In 1883, when Villar resigned, Gaudí took over as chief architect, transforming the project with his architectural and engineering style, combining Gothic and curvilinear Art Nouveau forms. Gaudí devoted the remainder of his life to the project, and at the time of his death at age 73 in 1926, less than a quarter of the project was complete. 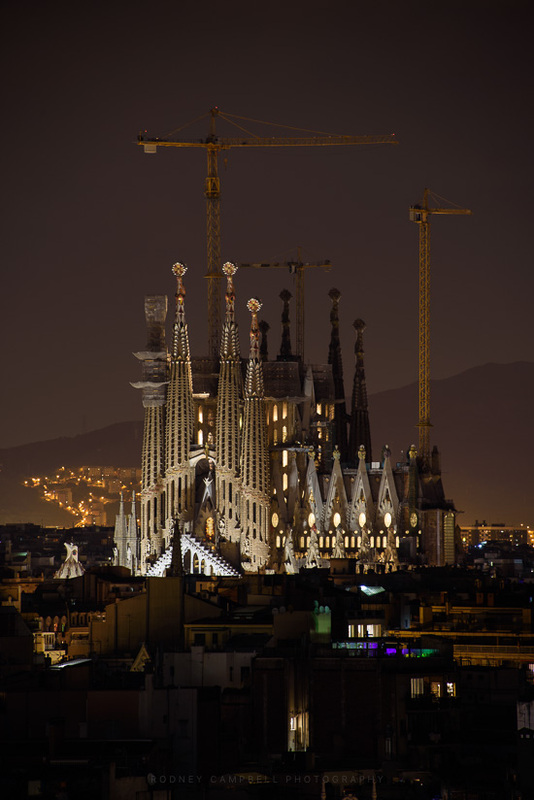 Relying solely on private donations, Sagrada Familia’s construction progressed slowly and was interrupted by the Spanish Civil War, only to resume intermittent progress in the 1950s. Since commencing construction in 1882, advancements in technologies such as computer aided design and computerised numerical control (CNC) have enabled faster progress and construction passed the midpoint in 2010. 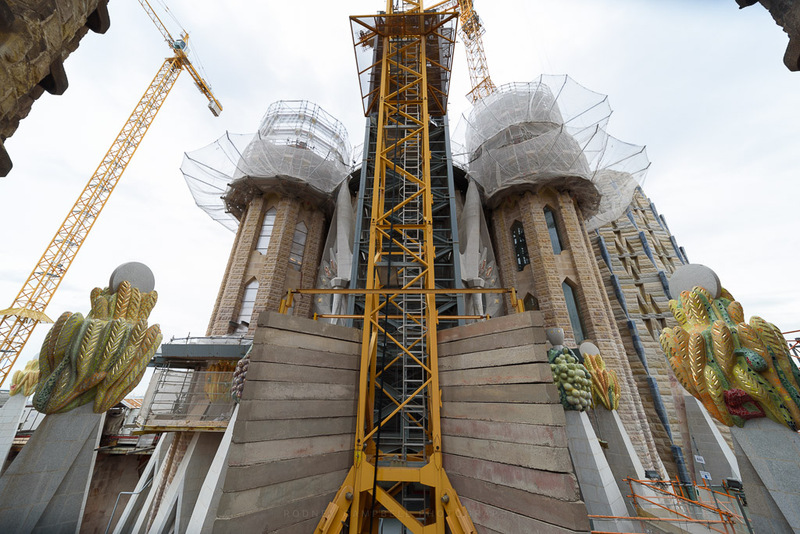 However, some of the project’s greatest challenges remain, including the construction of ten more spires, each symbolising an important Biblical figure in the New Testament. 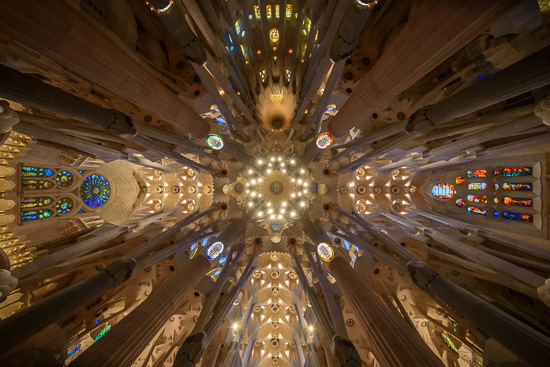 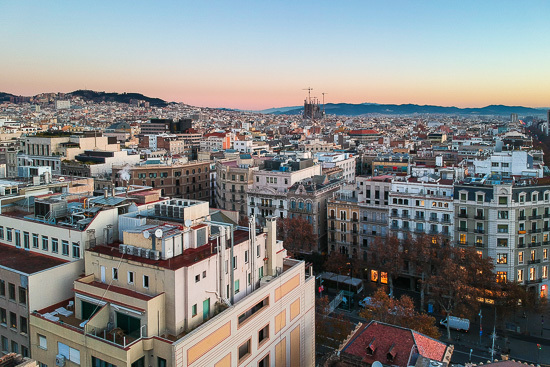 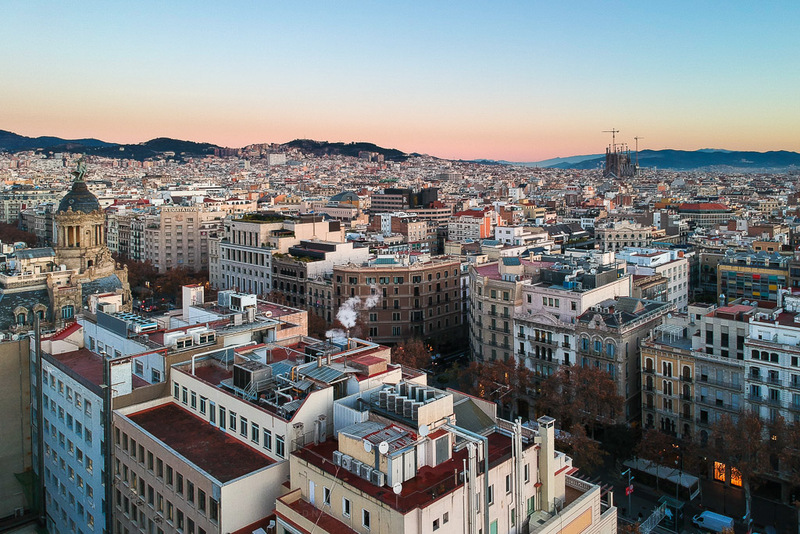 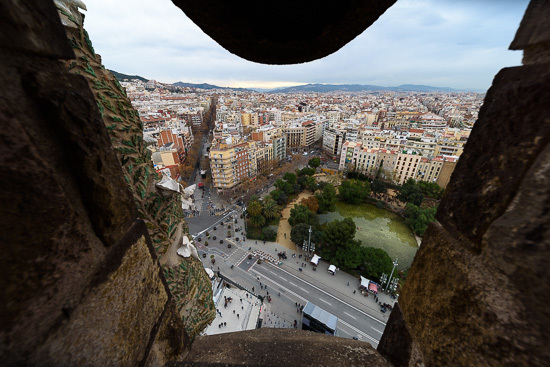 It is anticipated that the building could be completed by 2026 — the centenary of Gaudí’s death.